In 2002, I spoke at a supply chain forum for Presidents and CEOs. Since there was a labor dispute going on at the ports on the west coast at the time, I asked a hypothetical question: “What would happen if the west coast ports shut down, and you were not able to get products delivered in a timely manner?” Thirteen years later, this hypothetical question has become a reality for many companies. How big a deal is this? Well, this past weekend when I was at a Valentine’s Day event with many company executives, the last thing I expected to be talking about was the situation at the west coast ports. But that is exactly what happened, as several presidents and CEOs came up to me and said, “You’re the supply chain guy, so tell me what is going on at the ports!” It’s easy to understand their concern and angst. Here is a brief summary of the situation. The Pacific Maritime Association (PMA) and the International Longshoremen Warehouse Union (ILWU) have been operating without a contract since the end of June, 2014. Initially, shippers were encouraged when both sides declared that the ports would keep operating as they continued contract negotiations. 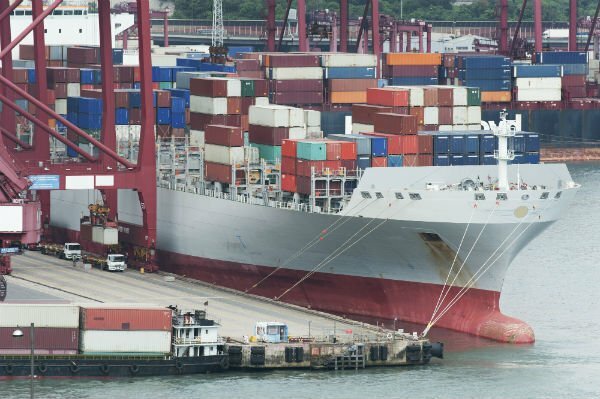 As negotiations wore on though, the situation deteriorated, and the PMA accused the ILWU of engaging in a slowdown that negatively affected the ports. Now, after eight months of increasingly bitter contract negotiations and lobbying by Congressional representatives, President Obama has ordered his Secretary of Labor, Tom Perez, to jump-start stalled labor talks between shipping companies and the dockworkers' union. Even if there is an agreement in the near future, it will be several months before the ports on the West Coast resume normal operations. And for the C-Level Executives who are pressuring their supply chain team to “do something,” it may be time for a reality check. Listen to the interview I recently conducted with Jon Slangerup, the CEO of the Port of Long Beach, to understand why there are not a lot of easy options, unless your company is willing to divert freight to different ports and lengthen transit times, or use more costly air freight. In this interview, Mr. Slangerup highlighted some important facts about port activity that could directly impact corporate supply chains. For example, after an agreement has been reached, it will take 30 days to complete a vote to ratify the contract. Once ratified, it will take at least three months before the ports can clear out its backlog of containers and resume a normal schedule. Thus, it will be at least four months after the sides reach an agreement for things to return to normal. But that is not all. Mr. Slangerup pointed out that several of the ships that are at anchorage are large ships with anywhere from 12,000 to 16,000 TEU’s—this will create additional operational challenges. And since 40% of our nation’s imports flow through the ports at Long Beach and Los Angeles, there is too much volume for the other west coast ports to absorb. A bad situation has now become worse because of labor disruptions at other critically important west coast ports. In addition to talking to port officials, we have also been talking to veterans of the ocean industry to get their insights. According to one individual, there are two ominous warning signs. First, the PMA has officially declared that it has issued its “final offer” and second, the PMA has issued news releases highlighting the compensation and benefits packages for the members of the ILWU. And just for good measure, the PMA suspended operations at the ports for the President’s Day holiday weekend. According to this industry veteran, these moves could portend more trouble for shippers. If the Labor Secretary is unable to get an agreement, look for increasing pressure on the President to invoke Taft-Hartley in an effort to prevent a strike. Finally, as I learned when I moderated a panel discussion at the Stifel Conference last week, every shipper, regardless of size, is being affected by the port situation. If you are trying to determine how this situation is impacting your company, our friends at Supply Chain Edge have created a checklist that may be useful for you. Simply click here or send us an e-mail at solutions@tranzact.com to obtain a copy. Eventually, shippers will work through this, but for now, keep this situation at the forefront of your considerations for your importing and exporting activities.